I decided to give the blog a face-lift yesterday. I thought it was time for a change, and I wanted to add some of the new features that Blogger has so that we can go back to using this as our main website with information and resources for families who have found themselves in this boat with us. I'm still working on the pages and their content, but I hope that it's a start. We had a good Christmas. 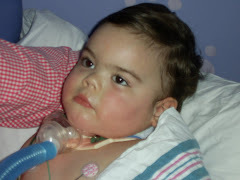 Aidan has been fighting with some congestion, but it hasn't turned into anything bad yet. 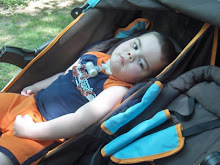 We just have to increase his breathing and vest treatments and try to get him to cough as much as possible. 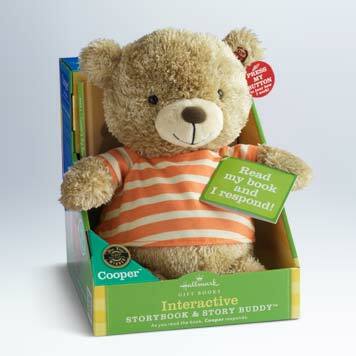 Aidan got several new toys for Christmas including two interactive storybooks and story buddies that Hallmark has out. He got the Cooper, teddy bear and the Jingle, husky puppy. He seems to like the stories and he'll perk up when he hears the stuffed animal make sounds. It is so difficult to find gifts for Aidan, especially since toys and things that are made for children with special needs are so expensive. Another ND mom posted some of the things that she got for her son that I hadn't even considered, so we'll be looking at some of those for Aidan's birthday, which is just around the corner. This year has flown by. Luckily, Aidan managed to stay relatively healthy. We had our huge blow-up with our primary care group and had to change pediatricians, which was the worst thing I think happened this year. We lost a doctor that we all really trusted and liked because of that situation, which is unfortunate, but it's water under the bridge now. We also found out that Aidan is showing early signs of scoliosis, which is very common in children like him, because he has no trunk control. Aidan started Kindergarten at a new school this year. He is one of 2 or 3 kids in his class unlike last year when he was in an integrated classroom. He seems to like it, and his teachers love him and are very good with him. If we could just get him to stay awake most of the day. This coming year, we're looking forward to trying Botox again in Aidan's legs. He has an appointment at the end of January with a new doctor for this, and we're hoping that it will help with the high tone in Aidan's lower legs. If that doesn't work, we will consider doing the heel cord surgery, where the tendons are cut so that we can get more range in his ankles. We are also taking him to a pediatric orthopedist to address his scoliosis. That appointment is in a few weeks, so I will post another update then. Aidan started a new formula about a month ago and his calories were increased in an effort to get him to gain a little weight. 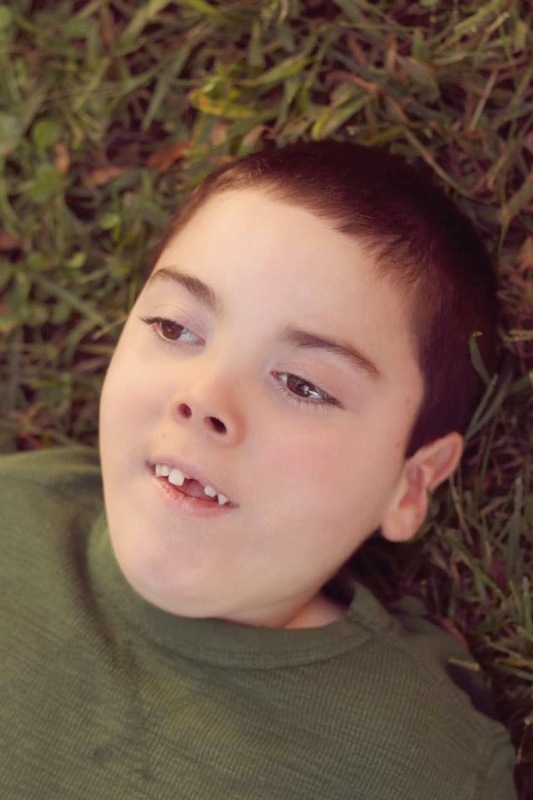 We've been waiting almost 2 years for the baclofen pump surgery because he doesn't weigh enough for our surgeon to feel comfortable to do the surgery. So far he's gained about 3 pounds, and only has about 5 more to go. I'm hoping to start trying out a blenderized formula for him since I'd like to get him off the premade formula. There are so many better options out there, and I think he'd benefit from the change in diet. Aidan just recently passed a swallow study and is able to "eat" thickened liquids by mouth. 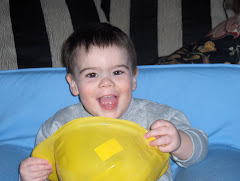 Prior to starting the ketogenic diet last year, he had been able to eat purees and baby food, but the 9 months of nothing having anything by mouth set him back in his ability to swallow and maintain his airway when having food in his mouth, so we had to start over. We're hoping that he'll continue to progress to eating purees again, but will require additional Vital Stim therapy and continued practice with the liquids. There will be a fundraiser in early March to help us raise money for some therapies, hopefully HBOT. Russell is working with a local group to arrange a comedy show and auction. We'll post more info about it as the details are worked out. It's my goal to be better at posting updates. It's so easy to do a quick blip of an update on Facebook, that I've gotten slack about posting here. With that said, we'd like to wish everyone a Happy New Year and thank you all for your continued support and prayers. I really like the new look, great job!